it was only today that i was able to open my christmas gift from ewok of “frankly my dear” photoblog. i was at work back in the mideast when my ma received it via courier last december. ewok, me and other filipino bloggers around the globe joined pm’s “all i want for christmas” post that started last year of october. here is what ewok sent me all the way from california! 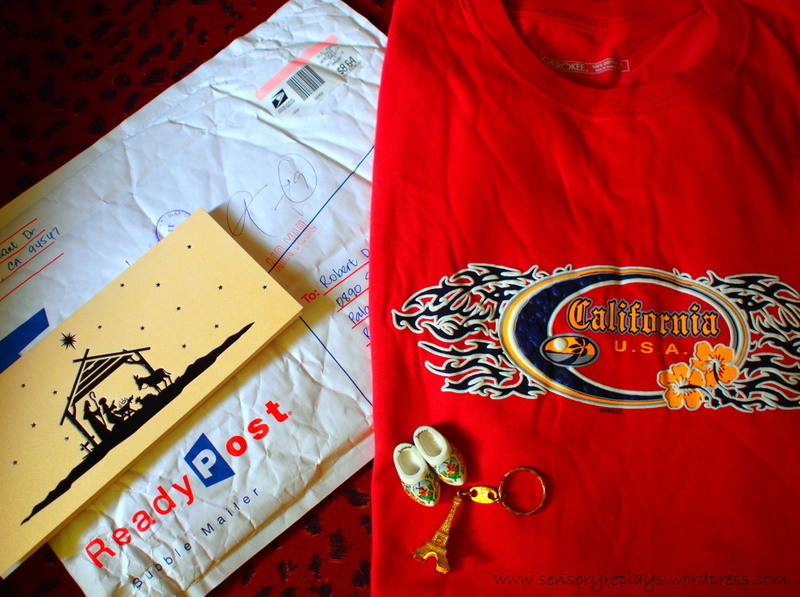 she sent me a card, t-shirt, a ref magnet she got from holland, netherlands and a keychain from paris, france. thanks so much for the gifts ewok, i gave the ref magnet and keychain to my ma. anyway, thanks again ewok, the shirt fits well! This entry was posted in random and tagged frankly my dear, gifts. Bookmark the permalink. .. you collect ref magnets gael? you’re very welcome. i’m so glad you received yours. i never got mine. i don’t know about kayni. last i heard she didn’t get her xchange gift either. .. awww. pm should expose our “all i want for christmas” partners! i know maria / ewok! i’m one of her blog’s stalker. bakit wala akong gift? i died in envy! .. next time sali ka, baka di ka rin makatanggap ng gift, hehe.